Our Control Panel allows for 17 different Themes and 20 different languages! As some people are familiar with these Themes and some are not, we have put together a sample of what the main page looks like for each of the Themes that we provide. These are "examples only" of the available Themes. 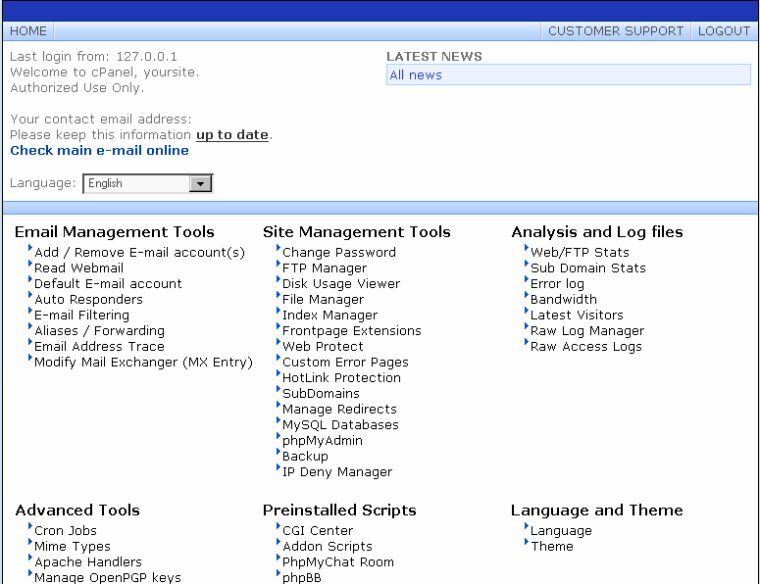 Information shown for Hosting Package features and Server information may not be the most current. The idea of these examples is to provide an over-all feeling, for how a Theme looks and the type of information provided. 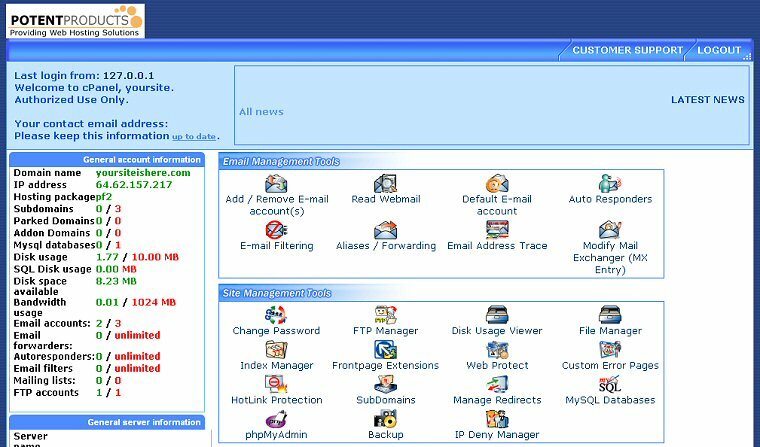 The "Blue Lagoon" theme is the default Control Panel for all Hosting accounts. An Email request is all it takes, to change the Control Panel Theme to whichever you prefer. Our Resellers have access to all Themes. RVskin is inter-changeable for Theme and Language.